A brand new app that will help you catalogue all you're favourite styles and outfits from shows and everyday life! I've been contacted by the CEO and Founder of iMerchandise to talk about this great new App! Its available on iPhone and iPads and will help you, as a simple blogger or buyer for a massive company, buy products or catalogue the ones you like the most! 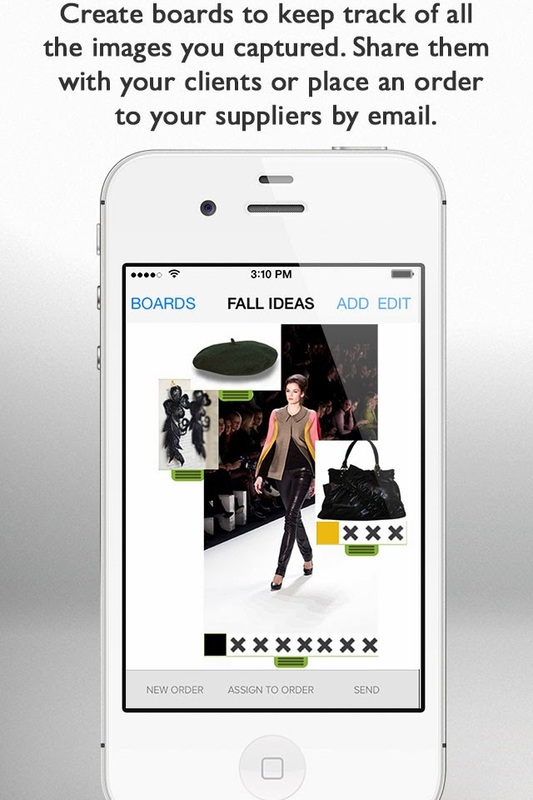 'Creating an organized and efficient wish list for each fashion event is a snap – literally – with the app’s self-focusing camera. There is no limit on the number of photos that can be stored. The app will hold as many photos as desired, depending on the capacity of your device. It is the next big thing in buying fashion and expanding your business whether it be a small online company or something way way bigger! I can tell you for sure I have this app and I'm keeping it! Check it out!